Zippo Bullet Hole Toffee Lighter | BUDK.com - Knives & Swords At The Lowest Prices! This lighter has classic Zippo windproof performance in every strike! 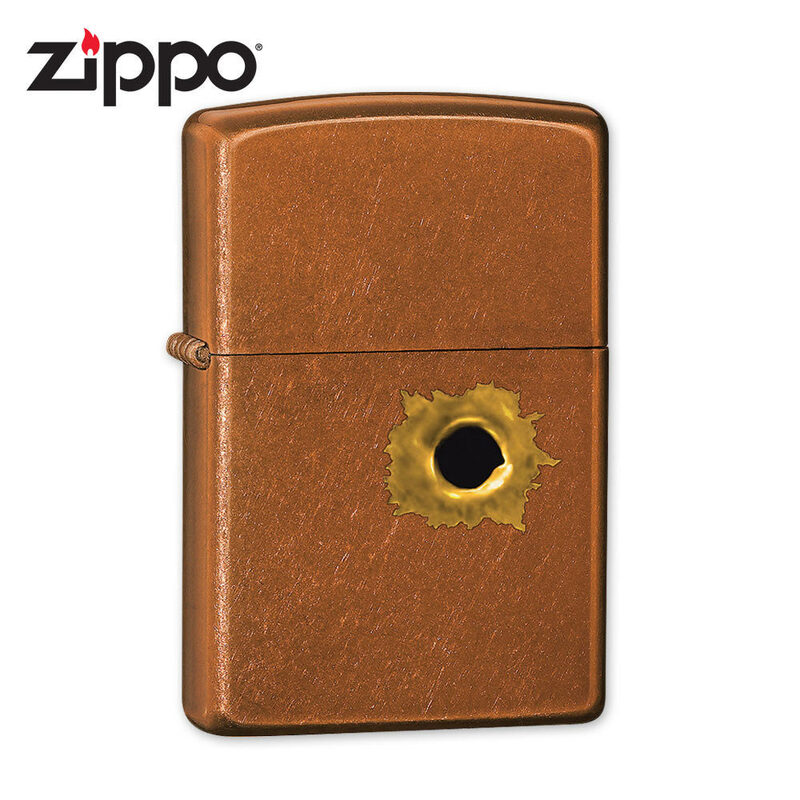 This toffee colored lighter offers a bullet hole design on the world renown Zippo lighter.